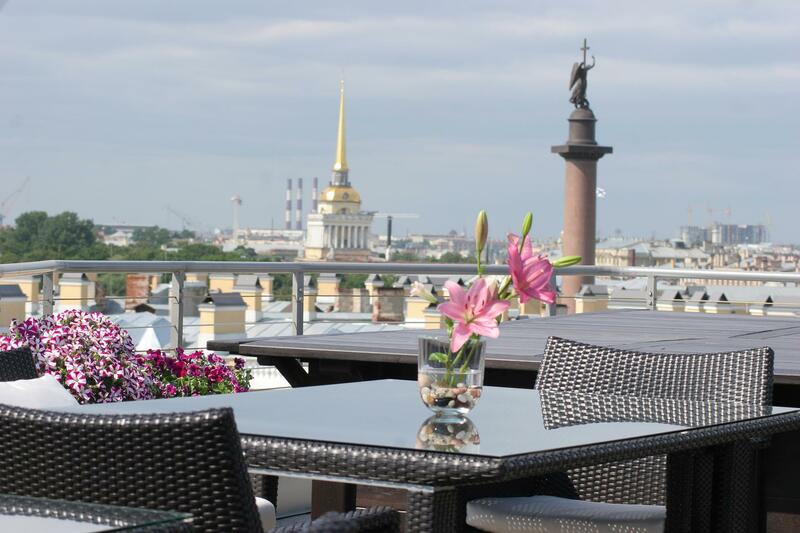 The Kempinski Hotel Moika 22 was opened in 2006 and offers the guests 197 rooms and suites. It is housed in a Petersburg mansion, designed by Basil von Witte in 1853, during the reign of Tsar Nicholas I. This elegant building is situated in a prime location on the Moika River embankment, overlooking one of the city’s most famous sights – Palace square and the Hermitage Museum. During the reconstruction not only the classical façade has been faithfully retained but the atmosphere of luxury of Imperial Petersburg. With a floor area of 205 m2 the Neva Room is big enough to hold in comfort a large number of people for different types of functions. This room has a floor area 44 m2 and is perfect for small meetings (up to 20 persons). The Atrium Foyer has a large floor area of 250 m2 and is ideal for prestige entertaining. The unique location of the panoramic Bellevue Brasserie on the ninth floor of the hotel makes it one of the most awe-inspiring places in the whole of St Petersburg. The Beau Rivage Restaurant is open in the morning for a full buffet breakfast. 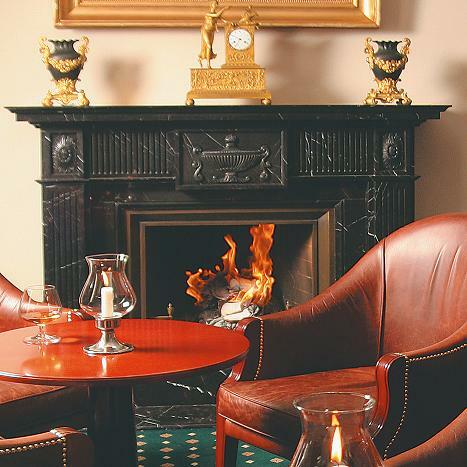 Von Witte Lounge and Bar is named after the architect Bazil von Witte that constructed the original façade of the building in the middle of the 19th century. A real fire is one of the few pleasures of the past still existing in the twenty-first century. The guests of Tea Room can sample a wide range of cakes and delicious brands of imported tea and other hot beverages in the cozy atmosphere. The Wine Cellar offers a selection of superb wines, from Bordeaux, Burgundy and Alsace. Our selection of French champagne is similarly first-class, and includes Dom Perignon and Veuve Clicquot.